Melanotan II, a drug originally developed as a skin tanning agent, but subsequently investigated as a potential treatment for sexual dysfunction. 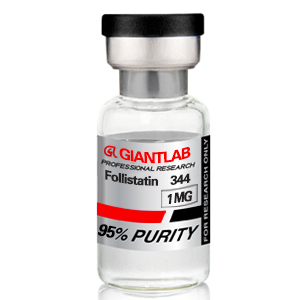 Melanotan II is a synthetic analogue of the peptide hormone α-melanocyte-stimulating hormone (α-MSH). It was under development as drug candidate for female sexual dysfunction and erectile dysfunction but clinical development ceased by 2003, and as of 2017, no product containing melanotan II was marketed and all commercial development had ceased. Unlicensed and untested powders sold as “melanotan II” are found on the Internet, and purported to be effective as “tanning drugs”, though side effects such as uneven pigmentation, new nevi (moles) and darkening or enlargement of existing moles are common and have led to medical authorities discouraging use. The products we offer are intended for laboratory research use only. The Products we sold on our store are not been used as drugs, agricultural or pesticidal products, food additives or household chemicals. 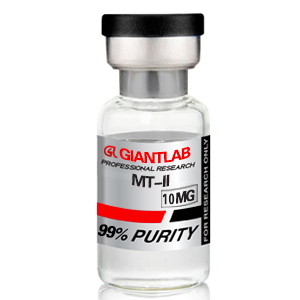 You can buy safe Melanotan II 10mg for research on our online store.